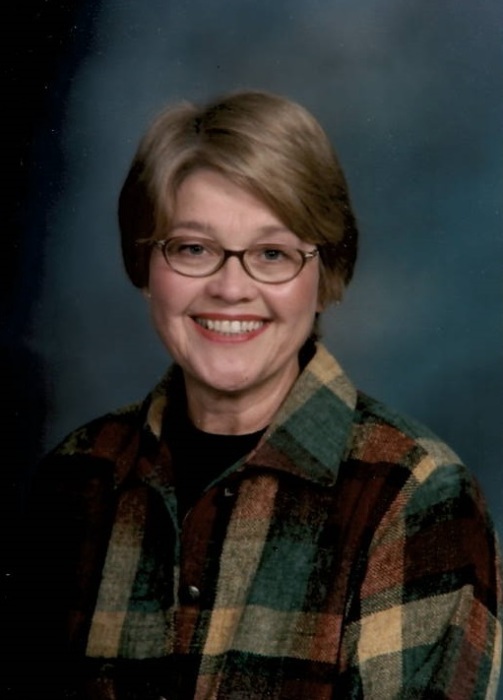 Judith Emilie “Judy” Kadlec, age 72, of Hutchinson passed away on Tuesday, January 23rd, 2018 at Abbott-Northwestern Hospital in Minneapolis, showing her strong will to live her life to the absolute fullest, despite the challenges that cancer happened to bring over the past two years. She was born at home, on a farm near Lamberton, Minnesota on March 7, 1945 the daughter of Wilfred & Emilie (Galloway) Landkammer and she graduated from Winthrop High School. Growing up, Judy was a member of the musical group 'Cornfield Canaries' and played clarinet and sax in their family band, 'Landkammer SwingJammers'. On April 24, 1965 Judith E. Landkammer and Jerome J. Kadlec were joined in holy marriage at St. Anastasia Catholic Church in Hutchinson. God blessed their marriage with three children. She was employed at 3M, as a Nursing Assistant at Burns Manor, was a seamstress for many years, and also a manager at Maytag Laundry and Car Wash.
She enjoyed playing bridge, gardening, fishing, traveling the world, baking bread, growing poppyseed, making kolaches, making new friends, making conversation, and adoring her grandchildren with the willingness to stop whatever she was doing, to live in the moment with them. She was a faithful member of Holy Family Catholic Church in Silver Lake, proudly serving as its first female Eucharistic Minister, bringing communion to the sick and homebound members of the parish. Survived by her loving husband of fifty-two years: Jerome J. “Jerry” Kadlec; children: Melissa Kadlec of St. Paul, Tony (Marata) Kadlec of Hutchinson and Andy (Sigrun) Kadlec of Duluth; six grandchildren: Kristina Green & Andrew Green; Theodore, Anton & Nikolas Kadlec and Odinn Kadlec; siblings: Jerry (Kris) Landkammer of Tampa, FL, Roberta (Tom) Brunberg of Chanhassen, Jim (Judy) Landkammer of Chanhassen, Joe Landkammer of Watertown, Mary (Denny) Oscarson of Waconia, Jane (Denny) Guertin of Waconia, Debbie Landkammer of Cascade, CO and Lori (Rick Reininger) Schmidt of Eden Prairie; many other relatives and friends. Preceded in death by her parents and siblings Jon Landkammer, Bob Landkammer and Patty Bigaouette. A Mass of Christian Burial for Judith “Judy” Kadlec will be held on Monday, January 29th, 2018 at 10:30 A.M. at Holy Family Catholic Church in Silver Lake. Father Paul Schumacher will be the Celebrant. Alice Nowak will be the organist for the Mass. Special music by Mike Wendolek and Lucy Newcomb. A visitation will be held on Sunday, January 28th, 2018 from 2-6 P.M. at The Maresh Funeral Home in Silver Lake. A Rosary will be recited at 3:00 P.M., a Prayer Service will be held at 5:30 P.M. Further visitation will be held on Monday morning, January 29th from 9:30-10:30 A.M. AT THE CHURCH. Casket Bearers will be her six grandchildren.